Saturday was a day of "wow; I've never seen this much snow" from everyone I know, save those who were familiar with more northern climates. The blizzard that hit Hutchinson, Kansas, Friday and ended earlier Saturday was over, and it was time to figure out what to do with 15+ inches of snow. 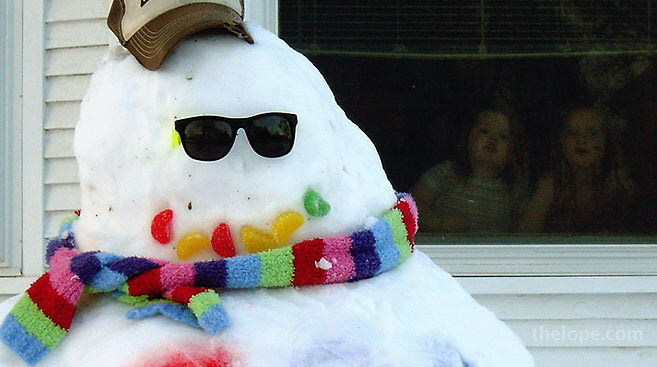 Of course, kids know what snow is for. 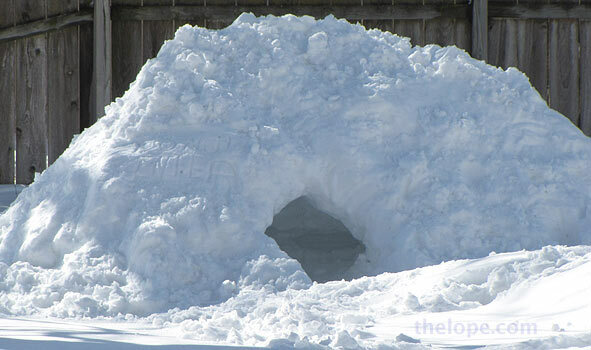 A couple houses down from the snowman, someone had made a snow igloo about six feet high. 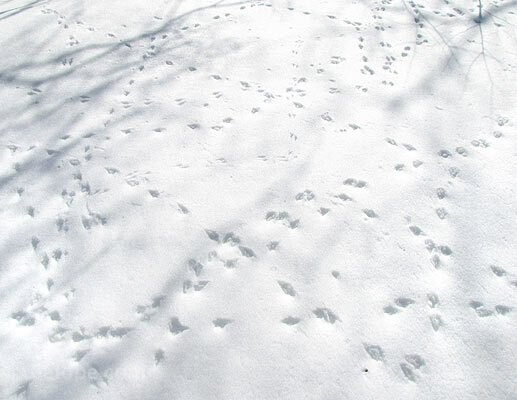 The birds in my back yard made tracks in almost symmetrical geometric patterns. Hmm...what are they trying to tell us? 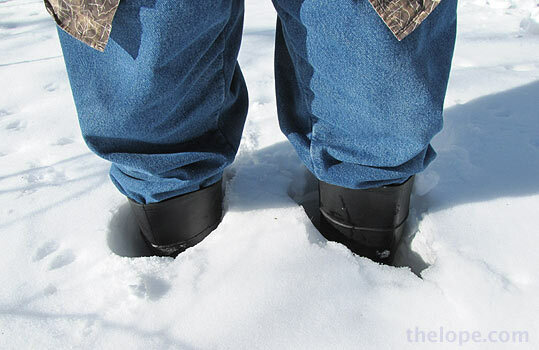 I bought these boots in late 2007 in a impulsive visit to Yoder hardware in the Amish town of Yoder, near Hutchinson. The climate has made sure I've gotten a lot of use out of them. 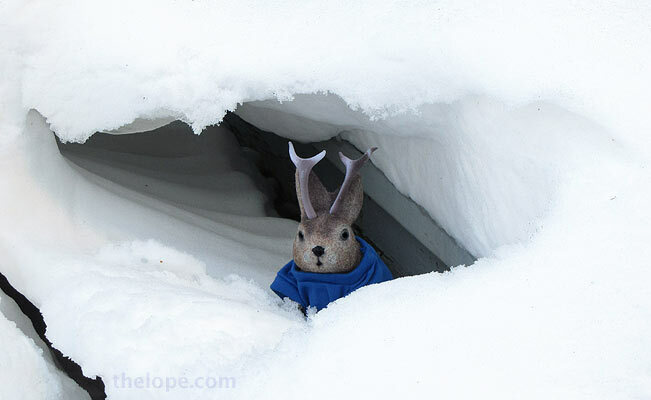 The snow arch I shot Friday has turned into an ice cave. If I'd have had a few Star Wars snow trooper figures handy for the photo, this would have been a cave in the ice planet of Hoth. The snowman I'd shot earlier in the day had apparently met a nice snowgirl and spawned. These must be their offspring. Better hope for some global cooling, kiddos. As the sun set, I wished I'd found a good wide area of snow with some interesting trees and...oh, maybe some tombstones. 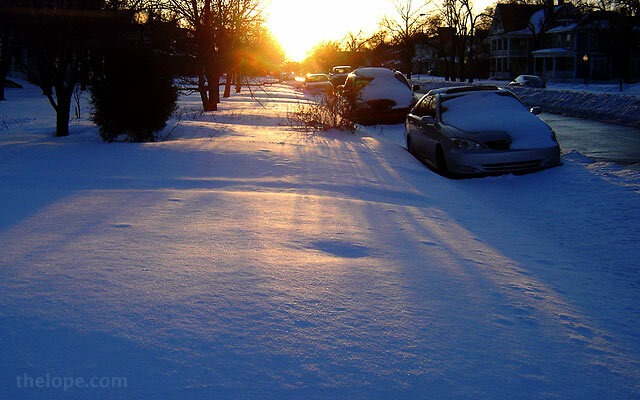 The skittering of the sunset across a subtly textured snowscape is not to be missed. What with excavating my car and gathering stuff for the rescheduled Soroptimist Women's Show I'm helping at Sunday, I let the sunset slip my mind and had to settle for the closest decent scene I could find in ye ole neighborhood. 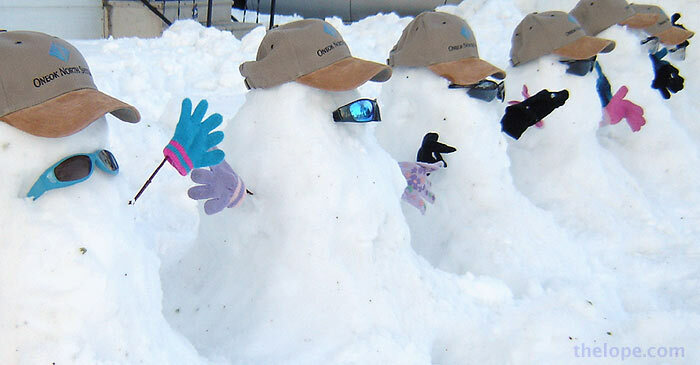 Temperatures Sunday are supposed to be well above freezing, but I'm hoping for more fun with snow. Ace looks cold... don't tell me you've already packed away his parka for the season?